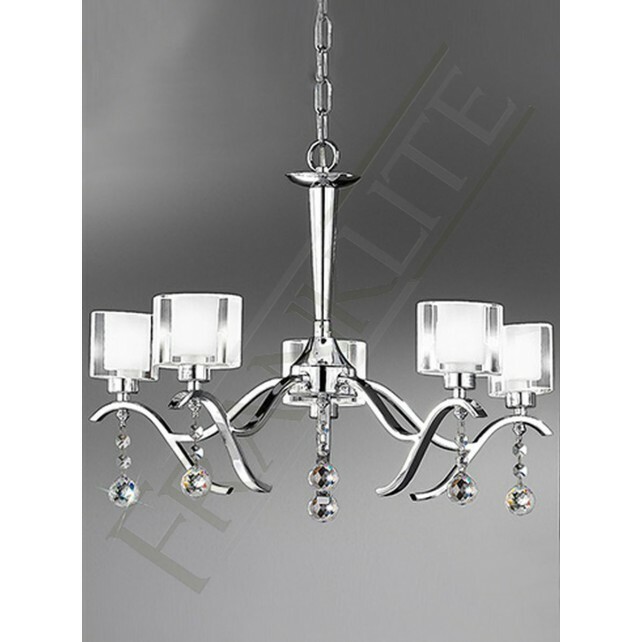 The striking 5 light ceiling light from the Theory range by Franklite features a 5 arm chandelier styled light in a chrome finish complemented with clear crystal drops hanging from each arm complete with, oval shaped clear glass with inner frosted centre detail. 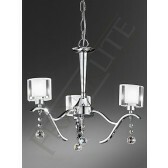 Supplied with G9 mains voltage lamps which are suitable for dimming, generating a relaxed mood in your home. 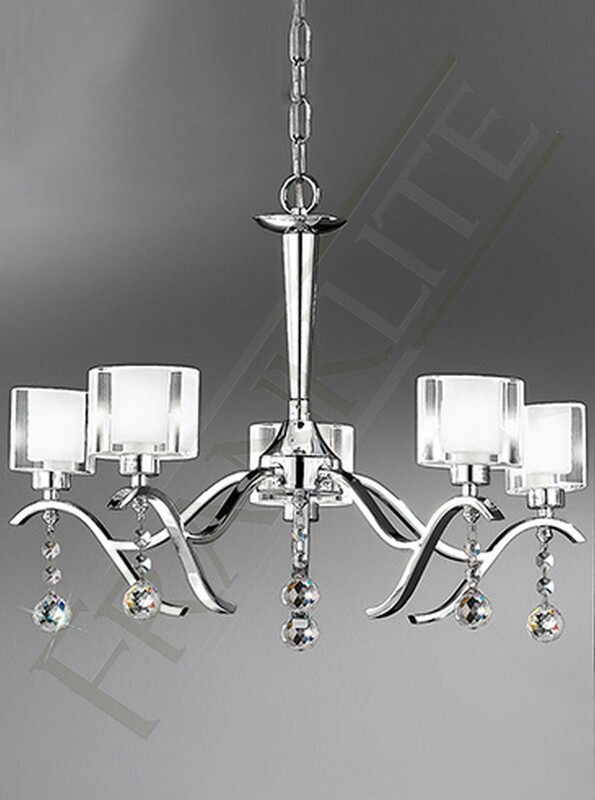 This light would be ideal for just about every room in your home, however this light would look best in your living or dining room area. 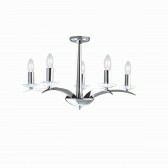 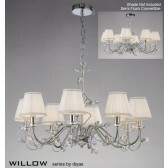 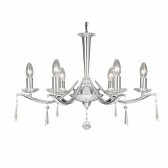 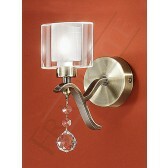 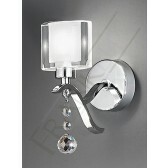 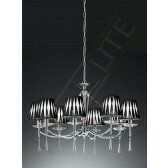 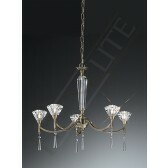 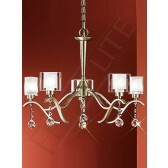 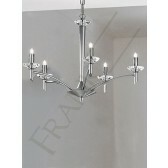 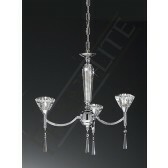 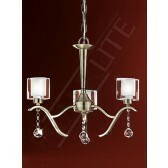 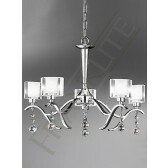 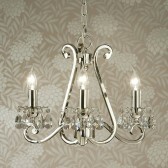 Supplied with a chain and easy adjustable to a flush fitting.